The weather has been dreary for days and days, but the dining room that I transformed from brown to white some time back, and which I have adorned with little white lights as part of the centerpiece, never ceases to warm my heart. This table always has a variety of glass on it with the little twinkle lights. I'm a big fan of little white lights. I have them everywhere. They are so cozy and festive and they ooze ambiance. A little old bungalow can always use ambiance. A little old me can always use some too. Low light is my dear friend. Meanwhile, you should know that I'm notoriously stuck on sameness. Hey, if I like it, why change it? I'm boring like that. But then out of the blue, I did...change it, I mean. Woo. Going all crazy here! green glass, along with some milk glass scattered in the general vicinity. You know... so that it's sort of overflowing with goodness. The roses were blooming nicely this week. Since they were all dressed up, they needed a place to go, so they were invited to join the motley crew. They've settled in nicely with my whatnot, haven't they? I think they sort of class the place up in the way pinks and lavenders always do. A jar of sea glass and shells made an interesting addition. Tying a monkey's fist is my most recently acquired skill. I know! Isn't that amazing?! I'm so proud... mostly because I saved money by making my own, (cheap, cheap! ), but I have to confess that the thrill of accomplishing this did cause me to clap excitedly. Goofy, yes, but with the effort and time it took, clapping was valid. There may or may not have been some verbal whooping it up by me, for me, as well. Casey wasn't home at the time. She would not have paid a lick of attention if she had been, most likely. She tends to block my exclamations out. My perceived accomplishments do not always rate the same on her "whoop-whoop" scale as they do on mine. Sometimes, but not always. She's in training. I'll tell you all about tying the Monkey's Fist sometime soon. I just don't grow tired of white lights. Ever. There you go. That's it! The sun has set and you've seen enough for today. However I realize now that I've shown you the "After" without ever having shown you the "Before". Of course, that's only because I have to retrieve my before shots from another hard drive, and that's a task. I will make that my project. I will find the "Before" and present it properly with the "After". I've got it! How about I just call it a "Before Reveal" and make it an official "thing"? Why can't we do a reveal in reverse? Thanks so much. White lights do seem to make everything better. This is so cute and creates a cozy atmosphere! Thanks for dropping by my place! Following you too! Woohoo! Thanks for putting me over the 20 mark. I'm glad you came by! What a beautiful glow! Nice use of the metal basket - I would fall under the spell of Hobby Lobby deals too. Unfortunately the Hobby Lobby is a long ways away. Some friends and I went together as a birthday outing for one of them and that's when I got that. So for the most part, I'm safe from the Hobby Lobby spell and the outflow of cash that would result. Just as well, right? Thanks for stopping by and leaving me a comment. Come again! Thank you, Abby. I'm glad you found your way here. I hope you'll be back. Great idea! Lights always add just the right touch. Love it. They do, don't they? They can make the ordinary sparkle. I'm so glad to see you back again. Thank you! I did literally get tangled up making the knot, but that was because I didn't want to cut and waste rope while attempting the new skill. :) I'm haven't gone quite all white here yet, but I'm definitely headed toward having much more. It takes time. Right now I'm desperately searching for a white slipcover for my loveseat but it's not as easy to find as I had thought. :( Thanks for stopping and commenting! Such beautiful images. 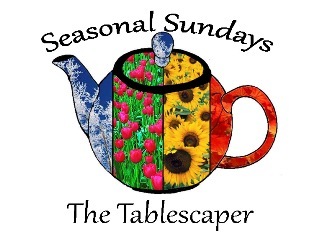 It would be wonderful to have you be a part of Seasonal Sundays. Sounds like a plan! Thank you for the invitation! This is just wonderful! So very creative!!!!! Very sweet, Debby. Thank you so much! Wonderful to be a part to Seasonal Sundays. Thank you CJ! And thank you for taking the time to come by and leave me a note. I do appreciate it! I love white lights, too. I have some in a basket in my kitchen and they're on a timer. Love it!!! Ooooh, I'd love them on a timer. I'd even love a switch, but as it is, I plug and unplug them, which is okay, but you are doing it up right! Thank you for stopping by to look and for commenting! So true, Pernilla. Thank you for coming by! What a wonderful glow those lights add to your table. I am sure that anyone would love to linger there, after a meal. Thanks for sharing! Hi Diane, why, thank you very much. Little lights are great for lingering, aren't they. They give things a special feeling any time of the year. Thanks for visiting. Come again! Sarah, I'm with you on stringing them in the trees all year. I actually do have the patio sized bulbs strung out around my back patio awnings all the time, they are out there twinkling each night. I figure... why save them for an occasion? They make me happy every evening and morning. I'm considering doing something even more with them. I will have to post about it sometime soon. Thank you for stopping by. Hope you'll be back! Hi, Liz. This is my first visit to your blog, I think. I'm visiting from BNOTP tonight. I am going to send you a bunch of applause for mastering the tying of a monkey fist because it is something I really wish I could do. I have not attempted it because I'm fearing failure flat out!!! (I'm not exactly what one would call "coordinated" when it comes to things like that!) I think you did an outstanding job! 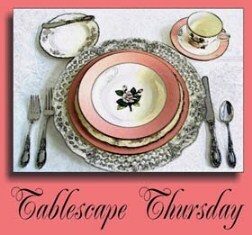 Very pretty table setting, and I LOVE the legs of your dining table!!! Alicia, YOU CAN DO IT! I will do a post on tying the monkey's fist this week if I can. Maybe I'll do a video or post a link to the one I watched (some instructions out there aren't that good), and you will see that it's doable, even if the process is a little clumsy as we learn. I did it three times. The first was basically a failure, then I did it twice more and have two monkey's fists of different sizes to show for it. All it is, is time and rope, and there is no great loss if you get it wrong. You can always just start again. You should go for it! Thanks for coming by. I appreciate your comment and I hope you will be back. Hi Poppy, I'm so happy to hear you too are interested in the monkey's fist. I will have to do a demonstration for sure. I am so glad you came by, and I thank you for your lovely note about my centerpiece. It is much appreciated! Just came over form the CowGirl party! I am "boring" like that. too!!! LOVE white!!! Woo hoo! Thank you for coming by and leaving me a message. Love it! I'll be by to see you! Hi Liz! Congrats on being featured over at Cowgirl Up! party. Yes, I love your white twinkle light centerpiece. I am a sucker for the wire baskets at Hobby Lobby too...having clean out the attic of grown-kids' stuff to have more room for the baskets. What?! Woo hoo! I'm in with the Cowgirls? Yes! I have to run to work right now. I'm late...but I'll check that out as soon as I can. Thanks for letting me know. the white lights and colored glass are magical!!! and way to go with that knot.. I would love to learn a skill like that! Magic, indeed. They are soothing. I'm doing a demonstration of the knot later this week, I hope. So come by and see. It may end up a comedy, but we'll get it done! It's gorgeous. Love how the lights shine through all the pretty colored glass. 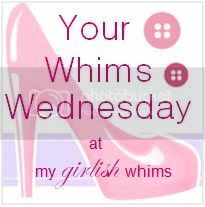 Thanks for linking up to Share the Love Wednesday! My Pleasure! I'm enjoying seeing what everyone has been doing. Thanks for stopping and being so kind as to let me know you were here. Love it! Love the white lights and colored glass. Are the lights battery or electric? My table is in the middle and I couldn't have a cord on the floor. Hi Gina, since my table is right next to the wall, they are plugged in there. I can see it being tricky if your table isn't placed like that. I bet there are battery operated ones out there. Let me know if you find any. It would be nice to have some with batteries and a switch, then I could put them other places where there is no way to plug them in. It would be worth looking into! They are easy on the eye, that's for sure. So glad you stopped to leave me a message. Love the centerpiece! I'm trying to become a follower but I can't get your "follow me" section to load. I will be back to try again later it's probably something with my computer!